The vast spaces and smaller enclosed rooms of the amazingly successful Centquatre, aka 104, the city of Paris’s former morgue, are used for every purpose imaginable. This “artistic and cultural factory” hosts shops, a restaurant and a café, concerts and other performances, free qi gong classes and much more. 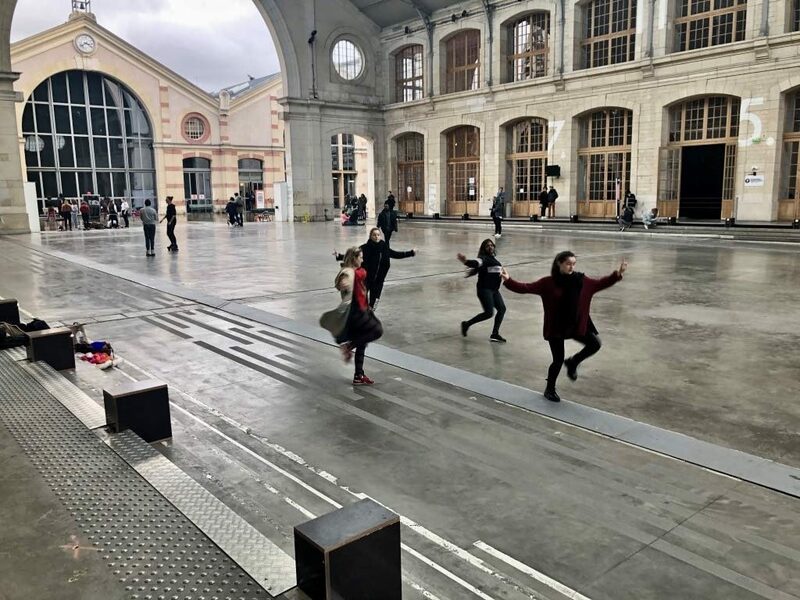 One of the most heartening things about the place is that anyone can use the open spaces for free and without reserving in advance to practice their performance pieces – whether dance, theater, juggling, hula hooping or whatever – while making as much noise as they want. It would be easy to spend an entire day there being entertained for free by mostly young people (the other day, a group of older men were comfortably installed on lounge chairs doing just that as a troupe of young dancers practiced their routine in front of them). 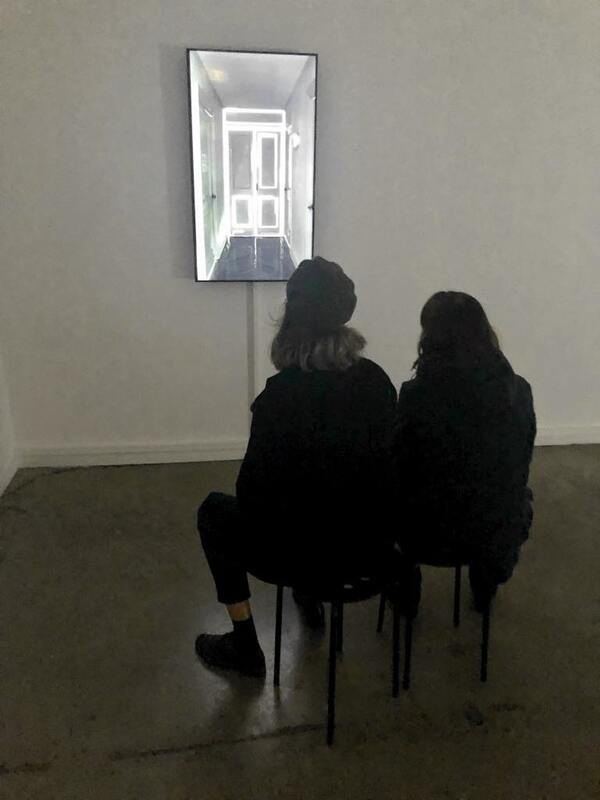 Another thing 104 does uncommonly well is to hold exceptional art exhibitions. The current show, “Pablo Valbuena: Si le Temps Est un Lieu” (if time is space) is a great example. 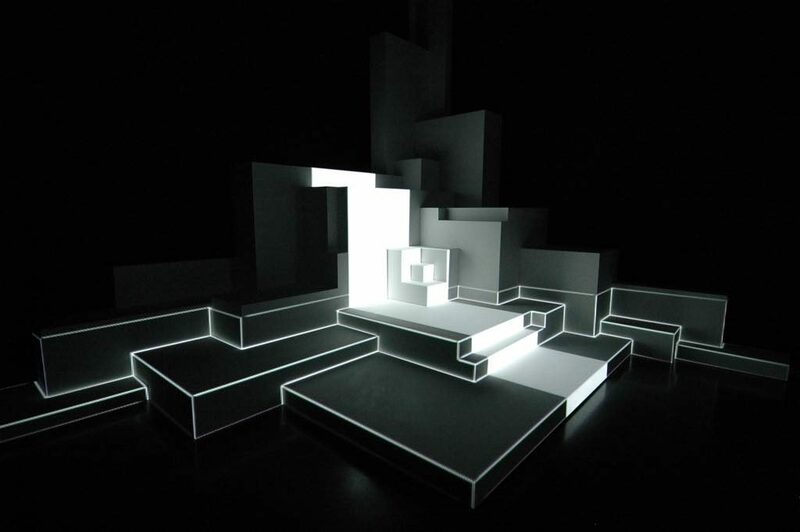 Most of the pieces on show are site-specific sound and light installations. That term is usually enough to send me running for the hills, but Valbuena’s work has nothing in common with those often overwrought outdoor spectacles. Don’t be put off by the photos on this page. They cannot do justice to Valbuena‘s works. which are all about movement: the play of light on architectural forms, for example, or moving points of light forming elemental shapes like an ellipse or a double helix. To see them in motion, visit Valbuena’s website. 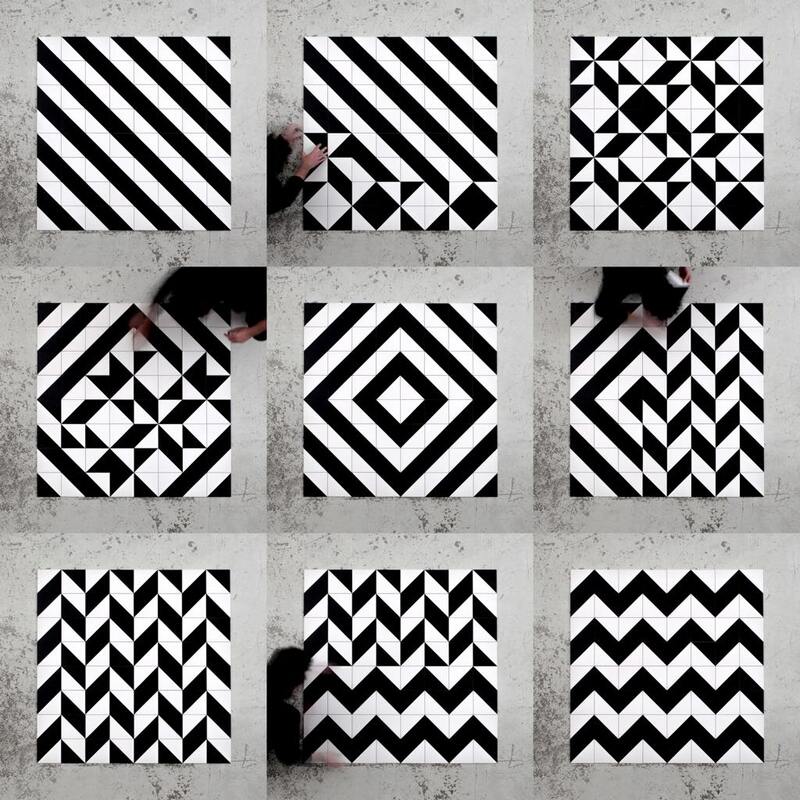 Nothing is static here: in one room the black-and-white-tiled floor is laid out in a particular pattern when you enter, but may look entirely different when you leave. Visitors are invited to choose one of the many possible patterns presented on posters (you may take one with you when you leave) to revise the floor pattern by flipping the tiles around. Warning: if you start, you are expected to finish, and this game can take about half an hour. The exhibits on which light moves in various ways on architectural shapes are in some cases videos of other in-situ projects that Valbuena has done and in others virtual manipulations (like the transformation with light of the courtyard of the British Museum). One exhibit, “Augmented Sculpture,” is an actual structure with changing light affecting our perception of it. Hypnotic and meditative, they are are all worth watching for a period of time as they slowly evolve. Luckily, seating is provided. I highly recommend a visit to this fascinating show, which finds so many creative ways of bringing architecture and abstract shapes to beautiful life in this former home of the dead. And it’s a good excuse to enjoy hanging out at 104.